©1998–2018, Thérèse Bonin. Last revised on 22 December 2018 ; more revisions are on the way. Please send suggestions, addenda, or corrigenda to bonin@duq.edu. For the most part, and especially in the case of the more readily available texts, extracts are noted only in the absence of complete translations. URL: aquinas-in-english.neocities.org. Made with free software. Baldner, Steven E., and William E. Carroll, trans. Aquinas on Creation: Writings on the ‘Sentences’ of Peter Lombard—Book 2, Distinction 1, Question 1. Mediaeval Sources in Translation, 35. Toronto: Pontifical Institute of Mediaeval Studies, 1997. Kwasniewski, Peter A., trans. ‘The Holy Spirit as Love’ and ‘Concerning the Eucharist.’ E-text, hosted.desales.edu/w4/philtheo/loughlin/ATP/index.html. Kwasniewski, Peter A., Thomas Bolin and Joseph Bolin, trans. On Love and Charity: Readings from the Commentary on the Sentences of Peter Lombard. Thomas Aquinas in Translation. Washington, D.C.: The Catholic University of America Press, 2008. Laumakis, John, trans. ‘Whether There Is Only One God,’ ‘Concerning Man’s Knowledge of God,’ ‘Whether God Is Entirely Simple,’ ‘Concerning God’s Existence in Things’ and ‘Concerning God’s Omnipresence.’ E-text, hosted.desales.edu/w4/philtheo/loughlin/ATP/index.html. Loughlin, Stephen, trans. ‘Concerning the Sin against the Holy Spirit’ and ‘Concerning Fasting.’ E-text, hosted.desales.edu/w4/philtheo/loughlin/ATP/index.html, www.dhspriory.org/thomas/Sentences2.htm and www.dhspriory.org/thomas/Sentences4.htm. Macierowski, E.M., trans. Thomas Aquinas’s Earliest Treatment of the Divine Essence: ‘Scriptum super libros Sententiarum,’ Book 1, Distinction 8. Medieval Studies Worldwide; Episteme. Binghamton, N.Y.: Center for Medieval and Renaissance Studies and Institute for Global Cultural Studies, Binghamton University (State University of New York), 1998. McDermott, Timothy, trans. ‘How we Know One Simple God by Many Concepts’ and ‘God as Goal of Human Living.’ In Thomas Aquinas, Selected Philosophical Writings, selected and translated by Timothy McDermott, 230–40 and 315–41. World’s Classics. Oxford: Oxford University Press, 1993. McDonald, Hugh, trans. On the First Book of the Sentences, prologue and question 1, articles 1–5. E-text, web.archive.org/web/20170119090738/http://hyoomik.com/aquinas/sent1.html. McDonald, Hugh, trans. Commentary on Sentences II, distinction 44, question 2, article 2. E-text, web.archive.org/web/20170119045222/http://hyoomik.com/aquinas/regicide.html. McInerny, Ralph, trans. ‘The Nature of Theology: Commentary on Sentences 1, Prologue,’ and ‘The Work of the Six Days of Creation: Commentary on Sentences 2.2, d. 12.’ In Thomas Aquinas, Selected Writings, edited and translated with an introduction and notes by Ralph McInerny, 51–104. Harmondsworth: Penguin, 1998. Molloy, Michael P., trans. ‘Excerpts from the Commentary of Thomas Aquinas: Commentary on the Second Book of the Sentences of Master Peter Lombard, Distinction 44.’ In Civil Authority in Medieval Philosophy: Lombard, Aquinas and Bonaventure, 143–73. Lanham, Md. : University Press of America, 1985. Mortensen, Beth, trans. Commentary on the Sentences, Book IV, 1–13. Lander, Wyo. : The Aquinas Institute, 2017. E-text, aquinas.cc. Penner, Sydney, trans. ‘Whether everyone desires happiness.’ E-text, www.sydneypenner.ca/ot/Sent_IV_49_1_3.pdf. Taylor, Richard C., trans. ‘Whether the intellective soul or intellect is one in all human beings’ and ‘Whether the human intellect is able to attain vision of God in His essence.’ E-text, academic.mu.edu/taylorr/Aquinas_and_the_Arabs_Project_Translations/Welcome.html. Tugwell, Simon, trans. ‘Commentary on the Sentences, Book 4, distinction 15, question 4.’ In his Albert & Thomas: Selected Writings, 363–418. The Classics of Western Spirituality. New York: Paulist Press, 1988. Unidentified translator. ‘Is the human soul of the divine essence?’ ‘Is the human soul constituted of some matter?’ and ‘Is the intellective soul or intellect one in all men?’ E-text, www.dhspriory.org/thomas/Sentences2.htm. West, Jason Lewis Andrew, trans. Sentences Commentary: In III Sent., d. 5, q. 1, aa. 2–3 and d. 6, q. 2, aa. 1–2. E-text, hosted.desales.edu/w4/philtheo/loughlin/ATP/index.html and www.dhspriory.org/thomas/Sentences3.htm. Pegis, Anton C., James F. Anderson, Vernon J. Bourke, and Charles J. O’Neil, trans. On the Truth of the Catholic Faith (Summa Contra Gentiles). 5 vols. New York: Doubleday, 1955–57; reprinted as Summa contra gentiles, Notre Dame, Ind. : University of Notre Dame Press, 1975. E-text with some revision at dhspriory.org/thomas/english/ContraGentiles.htm and, with parallel English and Latin, at dhspriory.org/thomas/ContraGentiles.htm. Rickaby, Joseph, trans. Of God and His Creatures: An Annotated Translation (with some abridgement) of the Summa contra gentiles of Saint Thos. Aquinas. St. Louis: B. Herder, and London: Burns & Oates, 1905. E-text, maritain.nd.edu/jmc/etext/gc.htm and www.ccel.org/ccel/aquinas/gentiles.html. Shapcote, Laurence, trans. The Summa contra Gentiles. 5 vols. London: Burns, Oates & Washbourne, 1924; reprint, New York: Benziger, 1928–29. Fathers of the English Dominican Province, trans. The Summa theologica. 2d, rev. ed. 22 vols. London: Burns, Oates & Washbourne, 1912–36; reprinted in 5 vols., Westminster, Md. : Christian Classics, 1981. E-text in HTML at www.newadvent.org/summa, dhspriory.org/thomas/summa/index.html (bilingual), www.logicmuseum.com/wiki/Authors/Thomas_Aquinas/Summa_Theologiae (bilingual), www.catholicprimer.org/summa/index.html, www.sacred-texts.com/chr/aquinas/summa/index.htm, and www.ccel.org/ccel/aquinas/summa.html (the latter site also offers the Summa as a PDF file, as a Word document, as plain text, and in Theological Markup Language), and in both plain text and zipped files at EWTN (difficult to find). Alex Pruss has produced a very navigable Palm e-book in Plucker format; he also provides a mobi file for the Kindle, and an epub version. E-text with word lists, concordances, and statistics at www.intratext.com/X/ENG0023.htm (www.intratext.com/Aiuto/ENG explains these tools). Audiobook in preparation by Jim Ruddy at LibriVox. Fathers of the English Dominican Province, trans., ed. and corrected by faculty and staff of the Aquinas Institute. Summa Theologiae. Lander, Wyo. : The Aquinas Institute, 2012. E-text, aquinas.cc. Freddoso, Alfred J., trans. Summa theologica. E-text with commentary in progress at www3.nd.edu/~afreddos. St. Augustine’s Press has published the Treatise on Human Nature (2010) and the Treatise on Law (2009); Professor Freddoso’s site includes revisions he has made since then. Gilby, Thomas, et al., trans. Summa theologiae. 60 vols. London: Eyre and Spottiswoode, and New York: McGraw–Hill, 1964–73. Newman, John Henry, trans. Catena Aurea: Commentary on the Four Gospels Collected out of the Works of the Fathers by S. Thomas Aquinas. 4 vols. Oxford: Parker, 1841–45; reprinted in 7 vols., Albany, N.Y.: Preserving Christian Publications, 1993–96 (also available through Leaflet Missal Online and Sophia Institute); reprinted in 4 vols., London: St. Austin Press, 1997 (also available through Leaflet Missal Online); reprinted in 8 vols., Wipf and Stock, 2005. E-text of the parts on Matthew and Mark at www.ccel.org/ccel/aquinas/catena1.html (Mt) and www.ccel.org/ccel/aquinas/catena2.html (Mk); the same parts may be downloaded in various formats at www.catholicprimer.org/aquinas/aquinas_catena_matthew.pdf, www.catholicprimer.org/aquinas/aquinas_catena_matthew_rev1.pdf, www.catholicprimer.org/aquinas/matthew/contents.htm, and www.catholicprimer.org/aquinas/aquinas_catena_mark.pdf. E-text of all parts at dhspriory.org/thomas/CAMatthew.htm, dhspriory.org/thomas/CAMark.htm, dhspriory.org/thomas/CALuke.htm and dhspriory.org/thomas/CAJohn.htm. Toal, M.F., trans. Catena Aurea. In his Patristic Homilies on the Gospels. Mercier Press, 1955; reprinted in 4 vols. as The Sunday Sermons of the Great Fathers, Chicago: Regnery, 1957–63; Swedesboro, N.J.: Preservation Press, 1996; and San Francisco: Ignatius Press, 2000. McInerny, Ralph, trans. ‘The Inaugural Sermons.’ In Thomas Aquinas, Selected Writings, edited and translated with an introduction and notes by Ralph McInerny, 5–17. Harmondsworth: Penguin, 1998. Tugwell, Simon, trans. ‘Inaugural Lecture (1256).’ In his Albert & Thomas: Selected Writings, 355–60. The Classics of Western Spirituality. New York: Paulist Press, 1988. Baer, Chrysostom, trans. Commentary on the Epistle to the Hebrews. South Bend, Ind. : St. Augustine’s Press, 2006. Baer, Chrysostom, trans. Commentary on St. Paul’s Epistles to Timothy, Titus, and Philemon. South Bend, Ind. : St. Augustine’s Press, 2006. Boguslawaski, Steven C., trans. Aquinas’s Commentary on Romans. In preparation. Lamb, Matthew L., trans. Commentary on St. Paul’s Epistle to the Ephesians. Aquinas Scripture Commentaries, 2. Albany: Magi Books, 1966. E-text, dhspriory.org/thomas/SSEph.htm. Also published with Fr. Larcher’s translation of the commentary on Galatians in Commentary on the Letters of Saint Paul to the Galatians and Ephesians, ed. John Mortensen and Enrique Alarcón, with parallel Latin and the Greek text of the epistle (Lander, Wyo. : The Aquinas Institute, 2012). E-text from the Aquinas Institute, aquinas.cc. Larcher, Fabian R., trans. Commentary on the Letter of Saint Paul to the Romans, ed. John Mortensen and Enrique Alarcón, with parallel Latin and the Greek text of the epistle. Lander, Wyo. : The Aquinas Institute, 2012. E-text, aquinas.cc. Larcher, Fabian R., trans. Commentary on the Letters of Saint Paul to the Philippians, Colossians, Thessalonians, Timothy, Titus, and Philemon, ed. John Mortensen and Enrique Alarcón, with parallel Latin and the Greek text of the epistles. Lander, Wyo. : The Aquinas Institute, 2012. E-text, aquinas.cc. Larcher, Fabian R., trans. Commentary by Saint Thomas Aquinas on the Epistle to the Colossians. E-text, dhspriory.org/thomas/SSColossians.htm. Larcher, Fabian R., and Daniel Keating, trans. Commentary by Saint Thomas Aquinas on the First Epistle to the Corinthians. E-text, dhspriory.org/thomas/SS1Cor.htm. Also published, together with the commentary on the second epistle, in Fabian Larcher, Beth Mortensen, and Daniel Keating, trans., Commentary on the Letters of Saint Paul to the Corinthians, ed. John Mortensen and Enrique Alarcón, with parallel Latin, the Greek text of the epistles, and the chapters by Peter of Tarentaise (Lander, Wyo. : The Aquinas Institute, 2012). E-text from the Aquinas Institute, aquinas.cc. Larcher, Fabian R., trans. Commentary by Saint Thomas Aquinas on the Second Epistle to the Corinthians. E-text, dhspriory.org/thomas/SS2Cor.htm and, from the Aquinas Institute, aquinas.cc. Larcher, Fabian R., trans. Commentary on St. Paul’s Epistle to the Galatians. Aquinas Scripture Commentaries, 1. Albany: Magi Books, 1966. E-text, dhspriory.org/thomas/SSGalatians.htm. Also published with Fr. Lamb’s translation of the commentary on Ephesians in Commentary on the Letters of Saint Paul to the Galatians and Ephesians, ed. John Mortensen and Enrique Alarcón, with parallel Latin and the Greek text of the epistle (Lander, Wyo. : The Aquinas Institute, 2012). E-text from the Aquinas Institute, aquinas.cc. Larcher, Fabian R., trans. Commentary by Saint Thomas Aquinas on the Epistle to the Hebrews. E-text, dhspriory.org/thomas/SSHebrews.htm. Also edited by John Mortensen and Enrique Alarcón under the title Commentary on the Letter of Saint Paul to the Hebrews, with parallel Latin and the Greek text of the epistle (Lander, Wyo. : The Aquinas Institute, 2012). E-text from the Aquinas Institute, aquinas.cc. Larcher, Fabian R., and Michael Duffy, trans. Commentary on St. Paul’s First Letter to the Thessalonians and the Letter to the Philippians. Aquinas Scripture Series, 3. Albany: Magi Books, 1969. E-text, dhspriory.org/thomas/SS1Thes.htm and dhspriory.org/thomas/SSPhilippians.htm. McInerny, Ralph, trans. Exposition of Paul’s Epistle to Philemon. In Thomas Aquinas, Selected Writings, edited and translated with an introduction and notes by Ralph McInerny, 812–21. Harmondsworth: Penguin, 1998. Rogers, Eugene F., Jr., trans. ‘Selections from Thomas Aquinas’s Commentary on Romans.’ In The Theological Interpretation of Scripture: Classic and Contemporary Readings, ed. Stephen E. Fowl, 325–35. Blackwell Readings in Modern Theology. Oxford: Blackwell Publishers, 1997. Rzeczkowski, Matthew, trans. Commentary on Paul’s First Epistle to the Corinthians. In Thomas Aquinas, The Gifts of the Spirit: Selected Spiritual Writings, ed. Benedict M. Ashley, 21–78. Hyde Park, N.Y.: New City Press, 1995. Sirilla, Michael, trans. Commentary on Paul’s First and Second Epistles to Timothy and His Epistle to Titus. Tugwell, Simon, trans. ‘From the First Lectures on St. Paul’ and ‘From the Commentary on Romans.’ In his Albert & Thomas: Selected Writings, 433–38. The Classics of Western Spirituality. New York: Paulist Press, 1988. Mullady, Brian, trans. Commentary on the Book of Job. E-text, dhspriory.org/thomas/english/SSJob.htm (English only) and dhspriory.org/thomas/SSJob.htm (with Thomas’ Latin and the Hebrew text of Job). Printed version edited by the Aquinas Institute, with Thomas’ Latin text and the Vulgate and Septuagint translations of Job (Lander, Wyo. : The Aquinas Institute, 2016). E-text from the Aquinas Institute, aquinas.cc. Yaffe, Martin D., and Anthony Damico, trans. The Literal Exposition on Job: A Scriptural Commentary Concerning Providence. Classics in Religious Studies, 7. Atlanta, Ga.: Scholars Press, 1989. Madden, Joshua, trans. Commentary on Isaiah. Lander, Wyo. : The Aquinas Institute, forthcoming. Bilingual e-text from the Aquinas Institute, aquinas.cc. Rzeczkowski, Matthew, trans. Commentary on the Book of the Prophet Isaiah. In Thomas Aquinas, The Gifts of the Spirit: Selected Spiritual Writings, ed. Benedict M. Ashley, 87–91. Hyde Park, N.Y.: New City Press, 1995. Weisheipl, James A., and Fabian R. Larcher, trans. Commentary on the Gospel of John. Aquinas Scripture Series, 4. Albany: Magi Books, 1980. E-text, dhspriory.org/thomas/SSJohn.htm. Larcher, Fabian R., trans. Commentary on the Gospel of John. Albany: Magi Books, 1998. E-text, dhspriory.org/thomas/SSJohn.htm. Weisheipl, James A., and Fabian R. Larcher, trans., with introduction and notes by Daniel Keating and Matthew Levering. Commentary on the Gospel of John. 3 vols. Thomas Aquinas in Translation. Washington, D.C.: The Catholic University of America Press, 2010. Also edited by the Aquinas Institute in 2 volumes, with parallel Latin text and the Greek text of the gospel (Lander, Wyo. : The Aquinas Institute, 2013. E-text from the Aquinas Institute, aquinas.cc. Holmes, Jeremy, and Beth Mortensen, trans. Commentary on the Gospel of Matthew, edited by the Aquinas Institute in 2 volumes. Lander, Wyo. : The Aquinas Institute, 2013. E-text, aquinas.cc. Kimball, Paul, trans. Commentary on the Gospel of St. Matthew. Dolorosa Press, 2012. Tugwell, Simon, trans. ‘From the Lectures on St. Matthew.’ In his Albert & Thomas: Selected Writings, 445–75. The Classics of Western Spirituality. New York: Paulist Press, 1988. McDonald, Hugh, Stephen Loughlin, et al., trans. St. Thomas’s Commentary on the Psalms. E-text, hosted.desales.edu/w4/philtheo/loughlin/ATP/index.html. Rzeczkowski, Matthew, trans. Commentary on the Psalms of David. In Thomas Aquinas, The Gifts of the Spirit: Selected Spiritual Writings, ed. Benedict M. Ashley, 95–133. Hyde Park, N.Y.: New City Press, 1995. Reilly, F.F., trans., with some revision by Joseph Kenny. Thomas Aquinas: Commentary on Lamentations. E-text, dhspriory.org/thomas/SSLamentations.htm. Logos Bible Software has proposed a complete translation, with facing Latin, in electronic form; pre-orders, by which the company is measuring interest in the project and determining whether to proceed, are being accepted. The Aquinas Institute is preparing a translation for volume 31 of its Opera Omnia Project; the volume will also contain Thomas’ commentaries on Lamentations and Isaiah, the latter already available electronically. Larcher, Fabian R., and Pierre H. Conway, trans. Exposition of Aristotle’s Treatise On the Heavens. 2 vols. Columbus, Ohio: College of St. Mary of the Springs, 1964. E-text, dhspriory.org/thomas/DeCoelo.htm. McInerny, Ralph, trans. ‘The Range of Natural Philosophy: Preface to the Commentary on On the Heavens.’ In Thomas Aquinas, Selected Writings, edited and translated with an introduction and notes by Ralph McInerny, 444–47. Harmondsworth: Penguin, 1998. Burchill, John, trans. On Memory and Recollection. Dover, Mass. : Dominican House of Philosophy, 1963. E-text of lessons 1–7, with parallel Latin, at dhspriory.org/thomas/MemoriaReminiscentia.htm. Macierowski, Edward M., trans. In Commentaries on Aristotle’s ‘On Sense and What Is Sensed’ and ‘On Memory and Recollection.’ Thomas Aquinas in Translation. Washington, D.C.: The Catholic University of America Press, 2005. McDermott, Timothy, trans. Commentary on Aristotle’s De Memoria et Reminiscentia, 449 b 30–450 a 25. In Thomas Aquinas, Selected Philosophical Writings, selected and translated by Timothy McDermott, 138–44. World’s Classics. Oxford: Oxford University Press, 1993. Pasnau, Robert C., trans. Commentary on Aristotle’s De memoria et reminiscentia. E-text, spot.colorado.edu/~pasnau/research/indmr.htm. McInerny, Ralph, trans. ‘The Range of Natural Philosophy: Preface to the Commentary on On Sense and the Sensed Object.’ In Thomas Aquinas, Selected Writings, edited and translated with an introduction and notes by Ralph McInerny, 447–54. Harmondsworth: Penguin, 1998. White, Kevin, trans. In Commentaries on Aristotle’s ‘On Sense and What Is Sensed’ and ‘On Memory and Recollection.’ Thomas Aquinas in Translation. Washington, D.C.: The Catholic University of America Press, 2005. Conway, Pierre, trans. St. Thomas Aquinas on Aristotle’s Love and Friendship: Ethics, Books VIII–IX. Providence, R.I.: Providence College Press, 1951. Litzinger, C.I., trans. Commentary on the Nicomachean Ethics. 2 vols. Library of Living Catholic Thought. Chicago: Regnery, 1964; reprinted in 1 vol. with revisions as Commentary on Aristotle’s Nicomachean Ethics, Aristotelian Commentary Series, Notre Dame, Ind. : Dumb Ox Books, 1993. Fortin, Ernest L., and Peter D. O’Neill, trans. ‘Thomas Aquinas: Commentary on the Politics.’ In Medieval Political Philosophy: A Sourcebook, ed. Ralph Lerner and Muhsin Mahdi, 298–334. Agora Editions. New York: Free Press of Glencoe, 1963. Fortin, Ernest L., and Stephen Brown, trans. Commentary on the Politics of Aristotle. Thomas Aquinas in Translation. Washington, D.C.: The Catholic University of America Press, in preparation. Regan, Richard J., trans. Commentary on the Politics. Indianapolis: Hackett, 2007. Foster, Kenelm, and Silvester Humphries, trans. Aristotle’s De Anima in the Version of William of Moerbeke and the Commentary of St. Thomas Aquinas. New Haven: Yale University Press, 1951; reprinted with revisions as Commentary on Aristotle’s De Anima, Aristotelian Commentary Series, Notre Dame, Ind. : Dumb Ox Books, 1994. Pasnau, Robert C., trans. Commentary on Aristotle’s De anima. New Haven: Yale University Press, 1999. Conway, Pierre, and R.F. Larcher, trans. Exposition of Aristotle’s Treatise on Generation and Corruption, Book I, cc. 1–5. Columbus, Ohio: College of St. Mary of the Springs, 1964, pro manuscripto. E-text, dhspriory.org/thomas/GenCorrup.htm and dhspriory.org/thomas/GenCorrup.pdf. Rowan, John P., trans. Commentary on the Metaphysics of Aristotle. 2 vols. Chicago: Regnery, 1964; reprinted in 1 vol. with revisions as Commentary on Aristotle’s Metaphysics, Aristotelian Commentary Series, Notre Dame, Ind. : Dumb Ox Books, 1995. Conway, Pierre, and F.R. Larcher, trans. On Meteorology. 1964, pro manuscripto. E-text, dhspriory.org/thomas/Meteora.htm (with Aristotle’s Greek and Thomas’ Latin) and dhspriory.org/thomas/Meteora.pdf. Thorndike, L., trans. In his Latin Treatises on the Comets, 77–86. Chicago: University of Chicago Press, 1950. Martin, Christopher, trans. In his The Philosophy of Thomas Aquinas: Introductory Readings, 18–48. London: Routledge, 1988. McDermott, Timothy, trans. Commentary on Aristotle’s De Interpretatione, 1.9 (18 b 26–19 a 22). In Thomas Aquinas, Selected Philosophical Writings, selected and translated by Timothy McDermott, 277–84. World’s Classics. Oxford: Oxford University Press, 1993. McInerny, Ralph, trans. ‘How Words Mean: Exposition of On Interpretation, 1–5.’ In Thomas Aquinas, Selected Writings, edited and translated with an introduction and notes by Ralph McInerny, 456–81. Harmondsworth: Penguin, 1998. Oesterle, Jean, trans. Aristotle on Interpretation: Commentary by St. Thomas and Cajetan. Mediaeval Philosophical Texts in Translation, 11. Milwaukee: Marquette University Press, 1962. Reprinted, with a new introduction, as Commentary on Aristotle’s On Interpretation, Notre Dame, Ind. : Dumb Ox Books, 2004. Blackwell, Richard J., Richard J. Spath, and W. Edmund Thirlkel, trans. Commentary on Aristotle’s Physics. Rare Masterpieces of Philosophy and Science. New Haven: Yale University Press, 1963; reprint, Aristotelian Commentary Series. Notre Dame, Ind. : Dumb Ox Books, 1999. E-text of books 1–2 at www.dhspriory.org/thomas/Physics.htm; bilingual e-text of all books at www.logicmuseum.com/wiki/Authors/Thomas_Aquinas/physics. Conway, Pierre, trans. Commentary on Aristotle’s Physics, books 3–8. Columbus, Ohio: College of St. Mary of the Springs, 1958–62. E-text, www.dhspriory.org/thomas/Physics.htm. Berquist, Richard, trans. Commentary on Aristotle’s Posterior Analytics. South Bend, Ind. : St. Augustine’s Press, 2007. Conway, Pierre, trans., revised by William H. Kane. Exposition of the Posterior Analytics of Aristotle. Quebec: La Librairie Philosophique M. Doyon, 1956. Conway, Pierre, and Jean Oesterle, trans. Commentary on Aristotle’s Posterior Analytics. Aristotelian Commentary Series. Notre Dame, Ind. : Dumb Ox Books, forthcoming. Larcher, F.R., trans. Commentary on the Posterior Analytics of Aristotle. Albany: Magi Books, 1970. E-text (with Aristotle’s Greek and Thomas’ Latin) edited by Joseph Kenny at dhspriory.org/thomas/PostAnalytica.htm; e-text with Thomas’ Latin at www.logicmuseum.com/authors/aquinas/posterioranalytics/aquinasPA.htm. King, Peter, trans. Aquinas: Exposition of Boethius’s ‘Hebdomads.’ E-text, individual.utoronto.ca/pking/AQUINAS.Exposition_of_Hebdomads.pdf. McInerny, Ralph, trans. ‘How are Things Good? Exposition of On the Hebdomads of Boethius.’ In Thomas Aquinas, Selected Writings, edited and translated with an introduction and notes by Ralph McInerny, 143–62. Harmondsworth: Penguin, 1998. O’Reilly, Peter, trans. In his ‘Sancti Thomae de Aquino Expositio super librum Boetii “De Hebdomadibus”: An Edition and a Study.’ Ph.D. diss., University of Toronto, 1960. Schultz, Janice L., and Edward A. Synan, trans. An Exposition of the ‘On the Hebdomads’ of Boethius. Thomas Aquinas in Translation. Washington, D.C.: The Catholic University of America Press, 2001. Tugwell, Simon, trans. ‘Prologue to the Commentary on Boethius’ De Hebdomadibus.’ In his Albert & Thomas: Selected Writings, 527–28. The Classics of Western Spirituality. New York: Paulist Press, 1988. Marsh, Harry C., trans. ‘A Translation of Thomas Aquinas’ In Librum beati Dionysii de divinis nominibus expositio.’ In his ‘Cosmic Structure and the Knowledge of God: Thomas Aquinas’ In Librum beati Dionysii de divinis nominibus expositio,’ 265–549. Ph.D. diss., Vanderbilt University, 1994. Jarka-Sellers, Hannes, trans. On the Divine Names. Thomas Aquinas in Translation. Washington, D.C.: The Catholic University of America Press, in preparation. Brennan, Rose E., trans. The Trinity and the Unicity of the Intellect. St. Louis: B. Herder, 1946. E-text of questions 1–4 with parallel Latin, www.logicmuseum.com/authors/aquinas/superboethium-index.htm. Cogan, Marc, trans. Commentary on Boethius’ On the Trinity, q. 5, a. 1. E-text, hosted.desales.edu/w4/philtheo/loughlin/ATP/Boethius/Q5A1.html. Maurer, Armand, trans. Faith, Reason and Theology: Questions I–IV of his Commentary on the De Trinitate of Boethius. Mediaeval Sources in Translation, 32. Toronto: Pontifical Institute of Mediaeval Studies, 1987. Maurer, Armand, trans. The Division and Methods of the Sciences: Questions V and VI of his Commentary on the De Trinitate of Boethius. 4th rev. ed. Mediaeval Sources in Translation, 3. Toronto: Pontifical Institute of Mediaeval Studies, 1986. E-text with parallel Latin, www.logicmuseum.com/authors/aquinas/superboethium-index.htm. McInerny, Ralph, trans. ‘Theology, Faith and Reason: On Boethius On the Trinity, 1–2.’ In Thomas Aquinas, Selected Writings, edited and translated with an introduction and notes by Ralph McInerny, 110–41. Harmondsworth: Penguin, 1998. White, Victor, trans. On Searching into God: Being an Exposition of the ‘De Trinitate’ of Boethius. Question 2: On the Making Manifest of the Divine Knowledge. Oxford: Oxonian Press, 1947; reprinted from Blackfriars, November 1943 (Supplement). Guagliardo, Vincent A., Charles R. Hess, and Richard C. Taylor, trans. Commentary on the Book of Causes. Thomas Aquinas in Translation. Washington, D.C.: The Catholic University of America Press, 1996. McInerny, Ralph, trans. The Exposition of The Book of Causes, 1–5. In Thomas Aquinas, Selected Writings, edited and translated with an introduction and notes by Ralph McInerny, 787–810. Harmondsworth: Penguin, 1998. Robb, James H., trans. Questions on the Soul. Mediaeval Philosophical Texts in Translation, 27. Milwaukee: Marquette University Press, 1984. Rowan, J.P., trans. The Soul. St. Louis: B. Herder, 1949. Bilingual e-text, dhspriory.org/thomas/QDdeAnima.htm. Atkins, E. M., trans. Thomas Aquinas: Disputed Questions on the Virtues, ed. E. M. Atkins and Thomas Williams. Cambridge: Cambridge University Press, 2005. Hause, Jeffrey and Claudia Eisen Murphy, trans. Disputed Questions on Virtue, with an introduction and commentary by Jeffrey Hause. Indianapolis: Hackett, 2010. Kendzierski, Lottie H., trans. On Charity (De caritate). Mediaeval Philosophical Texts in Translation, 10. Milwaukee: Marquette University Press, 1960. McInerny, Ralph, trans. ‘On Human Choice: Disputed Question on Evil, 6.’ In Thomas Aquinas, Selected Writings, edited and translated with an introduction and notes by Ralph McInerny, 552–64. Harmondsworth: Penguin, 1998. Oesterle, John A. and Jean T., trans. On Evil. Notre Dame, Ind. : University of Notre Dame Press, 1995. Regan, Richard, trans. The ‘De malo’ of Thomas Aquinas. Oxford: Oxford University Press, 2002. Regan, Richard, trans. On Evil. Edited with an introduction and notes by Brian Davies. Oxford: Oxford University Press, 2003. Freddoso, Alfred J., trans. De Potentia Dei 3.1 and 3.4. E-text, www3.nd.edu/~afreddos/translat/aquinas1.htm. McInerny, Ralph, trans. ‘On the Divine Simplicity: Disputed Question of the Power of God, 7.’ In Thomas Aquinas, Selected Writings, edited and translated with an introduction and notes by Ralph McInerny, 291–342. Harmondsworth: Penguin, 1998. Regan, Richard, trans. The Power of God. Oxford: Oxford University Press, 2012. Selner-Wright, Susan C., trans. On Creation [Quaestiones Disputatae de Potentia Dei, Q. 3]. Thomas Aquinas in Translation. Washington, D.C.: The Catholic University of America Press, 2010. Shapcote, Laurence, trans. On the Power of God. 3 vols. London: Burns, Oates & Washbourne, 1932–34; reprinted in 1 vol., Westminster, Md. : Newman, 1952; reprint, Wipf and Stock, 2004. Bilingual e-text, dhspriory.org/thomas/QDdePotentia.htm and www.logicmuseum.com/wiki/Authors/Thomas_Aquinas/depotentia. Fitzpatrick, Mary C., and John J. Wellmuth, trans. On Spiritual Creatures. Mediaeval Philosophical Texts in Translation, 5. Milwaukee: Marquette University Press, 1949. Bilingual e-text, dhspriory.org/thomas/QDdeSpirCreat.htm. Goodwin, Colin Robert, trans. A Translation of the Quaestio disputata de spiritualibus creaturis of St Thomas Aquinas, with Accompanying Notes. M.A. thesis, Australian Catholic University, 2002. E-text, dlibrary.acu.edu.au/digitaltheses/public/adt-acuvp18.16082005/index.html. Nutt, Roger W., trans. 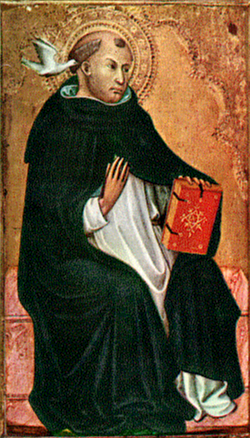 Thomas Aquinas, «De unione Verbi incarnati». Dallas Medieval Texts and Translations, 21. Leuven: Peeters, 2015. West, Jason Lewis Andrew, trans. A Disputed Question: Concerning the Union of the Word Incarnate. E-text, hosted.desales.edu/w4/philtheo/loughlin/ATP/index.html. Freddoso, Alfred J., trans. On Faith: Quaestiones disputatae de veritate 14.1–2. E-text, www3.nd.edu/~afreddos/translat/aquinas3.htm and www3.nd.edu/~afreddos/translat/aquinas5.htm. Froelich, Gregory, trans. On the Teacher. E-text, hosted.desales.edu/w4/philtheo/loughlin/ATP/De_Magistro/De_Magistro_11_1.html. Goodwin, Robert P., trans. On Free Choice. In his Selected Writings of St. Thomas Aquinas: The Principles of Nature, On Being and Essence, On the Virtues in General, On Free Choice. The Library of Liberal Arts. Indianapolis: Bobbs–Merrill, 1965. McInerny, Ralph, trans. ‘The Meanings of Truth: Disputed Question on Truth, 1,’ ‘On the Teacher: Disputed Question on Truth, 11,’ and ‘On Conscience: Disputed Question on Truth, 17.’ In Thomas Aquinas, Selected Writings, edited and translated with an introduction and notes by Ralph McInerny, 164–238. Harmondsworth: Penguin, 1998. Mulligan, Robert W., James V. McGlynn, and Robert W. Schmidt, trans. Truth. 3 vols. Library of Living Catholic Thought. Chicago: Regnery, 1952–54; reprint, Indianapolis: Hackett, 1994. E-text, dhspriory.org/thomas/QDdeVer.htm. Houser, R.E., trans. The Cardinal Virtues: Aquinas, Albert, and Philip the Chancellor. Mediaeval Sources of Translation, 39. Toronto: Pontifical Institute of Mediaeval Studies, 2004. McInerny, Ralph, trans. Disputed Questions on Virtue: Quaestio disputata de virtutibus in communi; Quaestio disputata de virtutibus cardinalibus. South Bend, Ind. : St. Augustine’s Press, 1998. Goodwin, Robert P., trans. On the Virtues in General. In his Selected Writings of St. Thomas Aquinas: The Principles of Nature, On Being and Essence, On the Virtues in General, On Free Choice, 75–113. The Library of Liberal Arts. Indianapolis: Bobbs–Merrill, 1965. Reid, John Patrick, trans. On the Virtues (in General). Providence, R.I.: Providence College Press, 1951. Bonin, Thérèse, trans. Quodlibet 4.9.3. E-text, aquinas-in-english.neocities.org/qq493.html and aquinas-in-english.neocities.org/Quodlibet4-9-3.pdf. Edwards, Sandra, trans. Quodlibetal Questions 1 and 2. Mediaeval Sources in Translation, 27. Toronto: Pontifical Institute of Mediaeval Studies, 1983. Freddoso, Alfred J., trans. Quodlibetal Questions 3.4.2 and 5.6.1. E-texts, www3.nd.edu/~afreddos/translat/aquinas2.htm and www3.nd.edu/~afreddos/translat/aquinas4.htm. Harris, Steven, trans. Quodlibet 12.7. E-text, stevenedwardharris.com/2017/02/08/aquinas-on-theologians-and-the-spirit/. Magee, Joseph M., trans. Questions on Whatever (Quaestiones Quodlibetales), Question 12, Article 20: Whether truth is stronger than either wine, the king or woman. E-text, www.aquinasonline.com/Topics/Humor/aqqq1220.html. Spade, Paul Vincent, trans. The Quodlibetal Questions (Selections). 1983. Typescript from the Translation Clearing House. West, Jason Lewis Andrew, trans. Quodlibetal Questions 9.2.1 and 2. E-text, hosted.desales.edu/w4/philtheo/loughlin/ATP/index.html. Lambert, Richard T., trans. Disputed Question on the Soul’s Knowledge of Itself. 1987. Typescript. Procter, John, trans. An Apology for the Religious Orders. London: Sands, 1902; reprint, Westminster, Md. : Newman, 1950. Bilingual e-text, dhspriory.org/thomas/ContraRetrahentes.htm. Procter, John, trans. An Apology for the Religious Orders. London: Sands, 1902; reprint, Westminster, Md. : Newman, 1950. Bilingual e-text, dhspriory.org/thomas/ContraImpugnantes.htm. Clark, Mary T., trans. On the Eternity of the World against the Grumblers. In her An Aquinas Reader, 178–85. Garden City, N.Y.: Image Books, 1972. McInerny, Ralph, trans. On the Eternity of the World against Murmurers. In his A First Glance at St. Thomas Aquinas: A Handbook for Peeping Thomists, 49–56. Notre Dame, Ind. : University of Notre Dame Press, 1990. A very similar translation appears in Thomas Aquinas, Selected Writings, edited and translated with an introduction and notes by Ralph McInerny, 711–17. Harmondsworth: Penguin, 1998. Miller, Robert T., trans. On the Eternity of the World. E-text, sourcebooks.fordham.edu/basis/aquinas-eternity.asp, dhspriory.org/thomas/DeEternitateMundi.htm (bilingual), www.logicmuseum.com/time/aquinaseternitate.htm (bilingual), and www.catholicprimer.org/aquinas/de_aeternitate_mundi.pdf. Vollert, Cyril, trans. On the Eternity of the World (De aeternitate mundi). In St. Thomas, Siger de Brabant, and St. Bonaventure, On the Eternity of the World, trans. Cyril Vollert, Lottie Kenzierski, and Paul M. Byrne, 19–25. Mediaeval Philosophical Texts in Translation, 16. Milwaukee: Marquette University Press, 1964. Procter, John, trans. The Religious State, The Episcopate and the Priestly Office: A Translation of the Minor Work of the Saint on the Perfection of the Spiritual Life. St. Louis: B. Herder, 1902, and London: Sands, 1903; reprint, Westminster, Md. : Newman, 1950. Brennan, Rose E., trans. The Trinity and the Unicity of the Intellect. St. Louis: B. Herder, 1946. McInerny, Ralph M. Aquinas against the Averroists: On There Being Only One Intellect. Purdue University Series in the History of Philosophy. West Lafayette, Ind. : Purdue University Press, 1993. Zedler, Beatrice H., trans. On the Unity of the Intellect against the Averroists (De Unitate Intellectus Contra Averroistas). Mediaeval Philosophical Texts in Translation, 19. Milwaukee: Marquette University Press, 1968. Collins, Joseph B., trans. In The Catechetical Instructions of St. Thomas, 69–116. New York: Wagner, 1939; reprint, Ft. Collins, Colo.: Roman Catholic Books, 2000; revised and reprinted in pp. 3–80 of God’s Greatest Gifts: Commentaries on the Commandments and the Sacraments, Manchester, N.H.: Sophia Institute, 1992; paperback ed., Sophia Institute, 1997; reprinted with The Three Greatest Prayers under the title The Aquinas Catechism: A Simple Explanation of the Catholic Faith by the Church’s Greatest Theologian, Sophia Institute, 2000; e-text, www.ewtn.com/library/SOURCES/TA-CAT-2.TXT; e-text with word lists, concordances, and statistics, www.intratext.com/X/ENG0029.htm (www.intratext.com/Aiuto/ENG explains these tools). Shapcote, Laurence, trans. The Commandments of God: Conferences on the Two Precepts of Charity and the Ten Commandments. London: Burns & Oates, 1937.
www.vatican.va/spirit/documents/spirit_20010116_thomas-aquinas_en.html presents most of chapter 2, on charity. Collins, Joseph B., trans. In The Catechetical Instructions of St. Thomas, 135–70. New York: Wagner, 1939; reprint, Ft. Collins, Colo.: Roman Catholic Books, 2000; e-text, www.ewtn.com/library/SOURCES/TA-CAT-4.TXT; e-text with word lists, concordances, and statistics, www.intratext.com/X/ENG0029.htm (www.intratext.com/Aiuto/ENG explains these tools). Firminger, W.K., trans. The Most Devout Exposition of the Lord’s Prayer of St. Thomas Aq. London: Faith Press, 1927. Shapcote, Laurence, trans. In The Three Greatest Prayers: Commentaries on the Lord’s Prayer, the Hail Mary, and the Apostle’s Creed, 101–60. London: Burns, Oates & Washbourne, 1937; reprint, Westminster, Md. : Newman, 1956; revised and reprinted, Manchester, N.H.: Sophia Institute, 1990, 1997; reprinted with God’s Greatest Gifts under the title The Aquinas Catechism: A Simple Explanation of the Catholic Faith by the Church’s Greatest Theologian, Sophia Institute, 2000. Bugnolo, Alexis, trans. St. Thomas Aquinas on the Angelic Salutation. E-text, franciscan-archive.org/bvm/salut.html. Collins, Joseph B., trans. In The Catechetical Instructions of St. Thomas, 173–80. New York: Wagner, 1939; reprint, Ft. Collins, Colo.: Roman Catholic Books, 2000; e-text, www.ewtn.com/library/SOURCES/TA-CAT-5.TXT; e-text with word lists, concordances, and statistics, www.intratext.com/X/ENG0029.htm (www.intratext.com/Aiuto/ENG explains these tools). Every, L., trans. ‘Explanation of the Hail Mary.’ Dominicana 39 (1954): 31–38. McInerny, Ralph, trans. Exposition of the Angelic Salutation (Ave Maria). In Thomas Aquinas, Selected Writings, edited and translated with an introduction and notes by Ralph McInerny, 822–27. Harmondsworth: Penguin, 1998. Shapcote, Laurence, trans. In The Three Greatest Prayers: Commentaries on the Lord’s Prayer, the Hail Mary, and the Apostle’s Creed, 163–72. London: Burns, Oates & Washbourne, 1937; reprint, Westminster, Md. : Newman, 1956; revised and reprinted, Manchester, N.H.: Sophia Institute, 1990, 1997; reprinted with God’s Greatest Gifts under the title The Aquinas Catechism: A Simple Explanation of the Catholic Faith by the Church’s Greatest Theologian, Sophia Institute, 2000. Ayo, Nicholas, trans. The Sermon-Conferences of St. Thomas Aquinas on the Apostles’ Creed. Notre Dame, Ind. : University of Notre Dame Press, 1988; reprint, Wipf and Stock, 2005. Collins, Joseph B., trans. In The Catechetical Instructions of St. Thomas, 3–66. New York: Wagner, 1939; reprint, Ft. Collins, Colo.: Roman Catholic Books, 2000; e-text, www.ewtn.com/library/SOURCES/TA-CAT-1.TXT; e-text with word lists, concordances, and statistics, www.intratext.com/X/ENG0029.htm (www.intratext.com/Aiuto/ENG explains these tools). Shapcote, Laurence, trans. In The Three Greatest Prayers: Commentaries on the Lord’s Prayer, the Hail Mary, and the Apostle’s Creed, 3–98. London: Burns, Oates & Washbourne, 1937; reprint, Westminster, Md. : Newman, 1956; revised and reprinted, Manchester, N.H.: Sophia Institute, 1990, 1997; reprinted with God’s Greatest Gifts under the title The Aquinas Catechism: A Simple Explanation of the Catholic Faith by the Church’s Greatest Theologian, Sophia Institute, 2000. Lynch, Lawrence, trans. Compendium of Theology. New York: McMullen, 1947. Regan, Richard, trans. Compendium of Theology. Oxford: Oxford University Press, 2009. Vollert, Cyril, trans. The Compendium of Theology. St. Louis: B. Herder, 1947; reprinted with editorial revisions as Light of Faith: The Compendium of Theology, Manchester, N.H.: Sophia Institute, 1993. Bilingual e-text of the 1947 edition at dhspriory.org/thomas/Compendium.htm. Fehlner, Peter Damian, trans., in James Likoudis’ Ending the Byzantine Greek Schism: Containing the 14th c. ‘Apologia’ of Demetrios Kydones for Unity with Rome and St. Thomas Aquinas’ ‘Contra Errores Graecorum.’ 2d ed. New Rochelle, N.Y.: Catholics United for the Faith, 1992. Bilingual e-text, dhspriory.org/thomas/ContraErrGraecorum.htm. Collins, Joseph B., trans. The Catechetical Instructions of St. Thomas, 119–31. New York: Wagner, 1939; reprint, Ft. Collins, Colo.: Roman Catholic Books, 2000; revised and reprinted in pp. 83–100 of God’s Greatest Gifts: Commentaries on the Commandments and the Sacraments, Manchester, N.H.: Sophia Institute, 1992; paperback ed., Sophia Institute, 1997; reprinted with The Three Greatest Prayers under the title The Aquinas Catechism: A Simple Explanation of the Catholic Faith by the Church’s Greatest Theologian, Sophia Institute, 2000; e-text, www.ewtn.com/library/SOURCES/TA-CAT-3.TXT; e-text with word lists, concordances, and statistics, www.intratext.com/X/ENG0029.htm (www.intratext.com/Aiuto/ENG explains these tools). O’Rahilly, Alfred. ‘Notes on St. Thomas III—St. Thomas on Credit.’ Irish Ecclesiastical Record, 5th series, 31 (1928): 159–68; reprinted by Vernon J. Bourke in his The Pocket Aquinas, 223–25, New York: Pocket Books, 1960. Bobik, Joseph. Aquinas on Being and Essence: A Translation and Interpretation. Notre Dame, Ind. : University of Notre Dame Press, 1965. Bilingual e-text with adaptation at dhspriory.org/thomas/DeEnte&Essentia.htm. Goodwin, Robert P., trans. On Being and Essence. In his Selected Writings of St. Thomas Aquinas: The Principles of Nature, On Being and Essence, On the Virtues in General, On Free Choice, 33–67. The Library of Liberal Arts. Indianapolis: Bobbs–Merrill, 1965. King, Peter, trans. On Being and Essence. In Aquinas: Basic Works, ed. Jeffrey Hause and Robert Pasnau. Indianapolis: Hackett, 2014. Klima, Gyula, trans. On Being and Essence. E-text, faculty.fordham.edu/klima/Blackwell-proofs/MP_C30.pdf. Leckie, George G., trans. Concerning Being and Essence. Appleton–Century Philosophy Source-books. New York: Appleton–Century–Crofts, 1937. Maurer, Armand, trans. On Being and Essence. 2d rev. ed. Mediaeval Sources in Translation, 1. Toronto: Pontifical Institute of Mediaeval Studies, 1968. McDermott, Timothy, trans. On Being and Essence. In Thomas Aquinas, Selected Philosophical Writings, selected and translated by Timothy McDermott, 90–113. World’s Classics. Oxford: Oxford University Press, 1993. McInerny, Ralph, trans. On Being and Essence. In Thomas Aquinas, Selected Writings, edited and translated with an introduction and notes by Ralph McInerny, 30–49. Harmondsworth: Penguin, 1998. Miller, Robert T., trans. On Being and Essence. E-text, sourcebooks.fordham.edu/basis/aquinas-esse.asp, www.logicmuseum.com/wiki/Authors/Thomas_Aquinas/esse_essentia (bilingual), www.catholicprimer.org/aquinas/de_ente_et_essentia.pdf, www.saintwiki.com/index.php?title=De_Ente_Et_Essentia, and (with parallel Latin and Russian) antology.rchgi.spb.ru/Thomas_Aquinas/De_ente_et_essentia.html. Reidl, C.C., trans. On Being and Essence. Toronto: St. Michael’s College, 1934. Bobik, Joseph. Aquinas on Matter and Form and the Elements: A Translation and Interpretation of the ‘De Principiis Naturae’ and the ‘De Mixtione Elementorum’ of St. Thomas Aquinas. Notre Dame, Ind. : University of Notre Dame Press, 1998. Larkin, Vincent R., trans. ‘Saint Thomas Aquinas: On the Combining of the Elements.’ Isis 51 (1960): 67–72. McDermott, Timothy, trans. On Compounds of Elements. In Thomas Aquinas, Selected Philosophical Writings, selected and translated by Timothy McDermott, 117–21. World’s Classics. Oxford: Oxford University Press, 1993. Orlowski, Peter, trans. On the Blend of the Elements. E-text, dhspriory.org/thomas/MixtioElementorum.htm. Spade, Paul Vincent, trans. On the Mixture of the Elements, to Master Philip. Revised draft. 1983. Typescript. Froelich, Gregory, trans. On the Motion of the Heart. E-Text, hosted.desales.edu/w4/philtheo/loughlin/ATP/index.html and dhspriory.org/thomas/DeMotuCordis.htm. Larkin, Vincent R., trans. ‘Saint Thomas Aquinas on the Movement of the Heart.’ Journal of the History of Medicine 15 (1960): 22–30. Piché, Lee A., trans. On the Movement of the Heart (To Master Philip of Castro Caeli). 1992. Typescript. Froelich, Gregory, trans. On the Hidden Workings of Nature. E-text at hosted.desales.edu/w4/philtheo/loughlin/ATP/Hidden_Workings_Nature.html. McAllister, J.B., trans. The Letter of Saint Thomas Aquinas De Occultis Operibus Naturae ad Quemdam Militem Ultramontanum. Washington, D.C.: The Catholic University of America Press, 1939. Bilingual e-text, dhspriory.org/thomas/OperatOccult.htm. Baldner, Stephen, trans. The Principles of Nature. In his Thomas Aquinas: Basic Philosophical Writing, 45–59. Broadview Editions. Peterborough, Ontario: Broadview Press, 2018. Bourke, Vernon, trans. On the Principles of Nature. In his The Pocket Aquinas, 61–77. New York: Pocket Books, 1960. Campbell, Gerard T., trans. On the Principles of Nature. E-text, www4.desales.edu/~philtheo/aquinas/Nature.html. Clark, Mary T., trans. On the Principles of Nature. In her An Aquinas Reader, 163–77. Garden City, N.Y.: Image Books, 1972. Conway, Pierre H., trans. The Principles of Nature. Columbus, Ohio: College of St. Mary of the Springs, 1963. Goodwin, Robert P., trans. The Principles of Nature. In his Selected Writings of St. Thomas Aquinas: The Principles of Nature, On Being and Essence, On the Virtues in General, On Free Choice, 7–28. The Library of Liberal Arts. Indianapolis: Bobbs–Merrill, 1965. Klima, Gyula, trans. On the Principles of Nature. E-text, faculty.fordham.edu/klima/Blackwell-proofs/MP_C19.pdf. Kocourek, R.A., trans. The Principles of Nature. In his An Introduction to the Philosophy of Nature. St. Paul: North Central Publishing, 1948; revised, 1951; revised, 1956. Bilingual e-text, dhspriory.org/thomas/DePrincNaturae.htm. McDermott, Timothy, trans. On the Principles of Nature. In Thomas Aquinas, Selected Philosophical Writings, selected and translated by Timothy McDermott, 67–80. World’s Classics. Oxford: Oxford University Press, 1993. McInerny, Ralph, trans. On the Principles of Nature. In Thomas Aquinas, Selected Writings, edited and translated with an introduction and notes by Ralph McInerny, 18–29. Harmondsworth: Penguin, 1998. Stump, Eleonore and Stephen Chanderbhan, trans. On the Principles of Nature. In Aquinas: Basic Works, ed. Jeffrey Hause and Robert Pasnau. Indianapolis: Hackett, 2014. Fehlner, Peter Damian, trans. On Reasons for Our Faith against the Muslims, Greeks and Armenians. New Bedford, Mass. : Franciscans of the Immaculate, 2002. Kenny, Joseph, trans. Reasons for the Faith against Muslim Objections (and one objection of the Greeks and Armenians) to the Cantor of Antioch. Bilingual e-text, www.dhspriory.org/thomas/Rationes.htm and www.logicmuseum.com/authors/aquinas/opuscula/deratione.htm. Nash, H., trans. ‘Why Did God the Son Become Man?’ Life of the Spirit 1952: 245–47. www.vatican.va/spirit/documents/spirit_20010206_thomas-aquinas_en.html presents selections from chapter 7. Blythe, James M., trans. On the Government of Rulers: De Regimine Principum, by Ptolemy of Lucca, with portions attributed to Thomas Aquinas. The Middle Ages Series. Philadelphia: University of Pennsylvania Press, 1997. Dawson, J.G., trans. In Aquinas: Selected Political Writings, ed. A.P. d’Entrèves. Oxford: Blackwell, 1948; reprint, Totowa, N.J.: Barnes & Noble, 1981, pp. 2–42. Phelan, Gerald B., and I.T. Eschmann, trans. On Kingship to the King of Cyprus. Mediaeval Sources in Translation, 2. Toronto: Pontifical Institute of Mediaeval Studies, 1949. Bilingual e-text, dhspriory.org/thomas/DeRegno.htm. Sigmund, Paul E., trans. On Kingship, or, The Governance of Rulers. In his St. Thomas Aquinas on Politics and Ethics: A New Translation, Backgrounds, Interpretations. Norton Critical Edition. New York: Norton, 1988. Carey, Peter Bartholomew, trans. The Opusculum on Lots of St. Thomas. Dover, Mass. : Dominican House of Philosophy, 1963. Bilingual e-text, dhspriory.org/thomas/Sortibus.htm. Lescoe, Francis J., trans. Treatise on Separate Substances. West Hartford, Conn.: Saint Joseph College, 1959. Bilingual e-text, www.dhspriory.org/thomas/SubstSepar.htm. Lescoe, Francis J., ed. and trans. Tractatus de substantiis separatis. West Hartford, Conn.: Saint Joseph College, 1962. Dawson, J.G., trans. ‘On the Government of Jews in Aquinas.’ In Aquinas: Selected Political Writings, ed. A.P. d’Entrèves. Oxford: Blackwell, 1948, pp. 84–95; reprint, Totowa, N.J.: Barnes & Noble, 1981, pp. 43–48. Johnson, Mark, trans. Thomas Aquinas’s Letter to Margaret of Flanders. E-text in various formats at thomistica.net/letter-to-margaret-of-flanders/; bilingual HTML at dhspriory.org/thomas/ToDuchessFlanders.htm. Kenny, Joseph, trans. Letter of Thomas Aquinas to Brother John on How to Study. E-text, dhspriory.org/thomas/DearJohn.htm. McDonald, Hugh, trans. A Letter by Aquinas to Brother John on How to Study. E-text, web.archive.org/web/20160412135452/http://www.hyoomik.com/phi205/memory.htm. Perkins, Steve, trans. A Letter on the Method of Study. E-text, www.forumromanum.org/literature/aquinas/stud_e.html. Vost, Kevin, trans., in his How to Think Like Aquinas: The Sure Way to Perfect Your Mental Powers. Manchester, N.H.: Sophia Institute, 2018. White, Victor, trans. ‘The Letter of Thomas Aquinas to Brother John De modo studendi.’ Life of the Spirit (Oxford: Blackfriars, Dec. 1944), Suppl. pp. 161–80. White, Victor, trans. How to Study: Being the Letter of St. Thomas Aquinas to Brother John, ‘De modo studendi.’ 4th ed. London: Blackfriars, 1953. Anderson, Robert, and Moser, Johann, trans. Devoutly I Adore Thee: The Prayers and Hymns of Saint Thomas Aquinas. Manchester, N.H.: Sophia Institute, 1993; revised under the title The Aquinas Prayer Book: The Prayers and Hymns of Saint Thomas Aquinas, Sophia Institute, 2000. Kenny, Joseph, trans. Liturgy of Corpus Christi. E-text with images from the Poissy Antiphonary and recordings of the chant, www.dhspriory.org/thomas/CorpusChristi.htm. Clark, Mary T., Jane Wynne Saul, and Gerard Manley Hopkins, trans. In Clark’s An Aquinas Reader, 533–41. Garden City, N.Y.: Image Books, 1972. Doyle, A.I. ‘A Prayer Attributed to St. Thomas Aquinas.’ Dominican Studies 1 (1948): 229–38. home.earthlink.net/~thesaurus/index.html links to the Latin and English of Adoro te devote, Lauda Sion, Pange lingua, Sacris solemniis, and Verbum supernum; the site also contains Thomas’ prayers before and after Mass (home.earthlink.net/~thesaurus/thesaurus/AnteMissam/Aquinas.html and home.earthlink.net/~thesaurus/thesaurus/PostMissam/Thomae.html). Hopkins, Gerard Manley, trans., modified by Fr. Joseph Kenny [?]. Adoro te devote. Latin and English at www.dhspriory.org/thomas/AdoroTe.htm. Kwasniewski, P., and Jeremy Holmes, trans. ‘Aquinas’s Sermon for the Feast of Pentecost: A Rare Glimpse of Thomas the Preaching Friar.’ Faith & Reason 30:1–2 (2005): 99–139. E-text, hosted.desales.edu/w4/philtheo/loughlin/ATP/Sermons/Pentecost_Essay.pdf, hosted.desales.edu/w4/philtheo/loughlin/ATP/Sermons/Pentecost_Sermon.html, www.dhspriory.org/thomas/Serm11Emitte.htm and www.dhspriory.org/thomas/english/SermEmitte.htm. Loughlin, Stephen, trans. ‘Blessed are the people whose God is the Lord’ (Beata gens, sermon for All Saints). E-text, hosted.desales.edu/w4/philtheo/loughlin/ATP/Sermons/Sermon_7.html and www.dhspriory.org/thomas/Serm20BeataGens.htm. Michieli, Madison, trans. ‘Behold Your King Comes’ (Ecce Rex tuus venit, sermon for Christmas). E-text, aquinas.institute/ecce-rex-tuus-a-gift-from-the-aquinas-institute and, with parallel Latin and notes, aquinas.cc. Sulavik, Athanasius, trans., with notes by P. Kwasniewski. ‘A Tale of Two Wonderworkers: St. Nicholas of Myra in the Writings and Life of St. Thomas Aquinas.’ Angelicum 82 (2005): 19–53. E-text, hosted.desales.edu/w4/philtheo/loughlin/ATP/Sermons/Nicholas_Essay.pdf, hosted.desales.edu/w4/philtheo/loughlin/ATP/Sermons/Nicholas_Sermon.html and www.dhspriory.org/thomas/Serm16InveniDavid.htm. Sulavik, Athanasius, trans. Attendite a falsis (‘Beware of false prophets,’ sermon of 26 July 1271, at Paris, for the third Sunday after the feast of Peter & Paul). E-text, www.dhspriory.org/thomas/english/SermAttendite.htm and, with facing Latin, www.dhspriory.org/thomas/Serm14Attendite.htm. Sulavik, Athanasius, trans. Puer Iesus (‘The child Jesus,’ sermon for the first Sunday after Epiphany). E-text, www.dhspriory.org/thomas/english/SermPuerIesus.htm and, with facing Latin, www.dhspriory.org/thomas/Serm08PuerIesus.htm. Schaller, George, trans. De quattuor oppositis. Dover, Mass: Dominican House of Philosophy, 1963. Moclair, H., trans. Office for the Feast of St. Augustine, Bishop, Confessor, and Doctor of the Church. In Mary T. Clark, An Aquinas Reader, 541–49. Garden City, N.Y.: Image Books, 1972. Franz, Marie-Louise von, ed. Aurora consurgens: A Document Attributed to Thomas Aquinas on the Problem of Opposites in Alchemy. Translated by R.F.C. Hull and A.S.B. Glover. Bollingen Series, 77. New York: Pantheon, 1966; reprinted as vol. 89 of ‘Studies in Jungian Psychology by Jungian Analysts,’ Toronto: Inner City Books, 2000. Delaney, B., trans. On the Ways of God. London: Burns & Oates, 1926, and New York: Benziger, 1927. Maritain, Raïssa, and Margaret Sumner, trans. The Divine Ways: A Little Work of Saint Thomas Aquinas. Spiritual Classics Series, 1. Windsor, Ont. : Christian Culture Press, 1942; reprint, London, Ont. : Basilian Press, 1946; reprinted with revisions, Manchester, N.H.: Sophia Institute, 1995. Rawes, H.A., trans. The Bread of Life, or, St. Thomas Aquinas on the Adorable Sacrament of the Altar, Arranged as Meditations, with Prayers and Thanksgivings for Holy Communion. New ed. Library of the Holy Ghost, 1. London: Burns & Oates, and New York: Benziger, 1879 (? ); microfiche, American Theological Library Association monograph preservation program, fiche 1986–1028. Electronic version sold by Logos Bible Software. Giles of Rome. Commentary on the Song of Songs and Other Writings. Ed. John E. Rotelle. The Augustinian Series, vol. 10. Villanova, Penna. : Augustinian Press, 1998. Ashley, John M., trans. The Homilies of S. Thomas Aquinas upon the Epistles and Gospels for the Sundays of the Christian Year, to Which Are Appended the Festival Homilies. 2d ed. London: J.T. Hayes, 1873; reprint, Ft. Collins, Colo.: Roman Catholic Books, 1996. Electronic version of the first, 1867 edition sold by Logos Bible Software. Instead of ad 3, you may see ad 3um or ad 3m; the -um or -m represent the Latin declensional ending, as in ad tertium. You may see the following abbreviations, and many variations on them, in footnotes and in lists of parallel passages. Note well: Even the full titles of Thomas’ works may vary from manuscript to manuscript and, therefore, from edition to edition. Cont. retrahent. ab ingressu relig. De hebdom. or Super De hebd. In I Cor. and In II Cor. In I Thess. and In II Thess. In I Tim. and In II Tim. In Io. or Super Joh. In Is. or Post. Is. In Mt. or Super Matt. Poster. or Super Post. An. Joseph Magee lists many sites, especially for De ente et essentia, at www.aquinasonline.com/Texts. www.intratext.com/X/LAT0012.htm presents the Postilla super Psalmos with word lists, concordances, and statistics (see www.intratext.com/Aiuto/ENG for an explanation of these tools). If you have an Android device, a new and free app allows you to read or search the whole Summa theologiae, in the text from Corpus Thomisticum, even while offline; another app does the same for all of Thomas’ works. See www.corpusthomisticum.org/eandroid.html for full information. A good starting place is Lewis’s An Elementary Latin Dictionary. For more detail, use Lewis & Short’s A Latin Dictionary, either browsing through it or looking up a particular word. Have declensions and conjugations so confused you that you don’t even know where to look in the dictionary? Perseus will take the term which perplexes you and tell you which words it could be a form of. Perseus lets you go from English to Latin as well as from Latin to English. Roy J. Deferrari’s A Latin–English Dictionary of St. Thomas Aquinas (Boston: St. Paul Editions, 1960) is not on-line but deserves mention anyway as the most useful dictionary for beginners in Aquinas’s Latin. It is a portable adaptation of Deferrari’s multi-volume A Lexicon of St. Thomas Aquinas, the difference being that the Lexicon reproduces texts illustrating the various meanings of words, while the Dictionary just lists the possible meanings. Both are based principally on the Summa theologiae. Preserving Christian Publications has a 2004 reprint of the Lexicon; for availability of the Dictionary, see isbn.nu/0819844438/price. Not specifically about Thomas’ usage but easy to use and still in print is Leo F. Stelten’s Dictionary of Ecclesiastical Latin (Peabody, Mass. : Hendrickson, 1995). William Whitaker’s downloadable dictionary (ablemedia.com/ctcweb/showcase/whitakerwords.html), like the Perseus site mentioned above, allows you to search by the word as you see it, even if you don’t know the form under which its dictionary entry would appear. The program works for DOS, Windows, or Linux, and Mr. Whitaker links to two possibilities for users of Macintosh. Those who cannot or would rather not download the program can use it by way of the web. Alex Pruss has made a version for Palm handhelds, and Ian Douglas Scott has developed an Android app. There’s a handy list of ‘The Hard Little Words: Prepositions, Adverbs, Conjunctions (With Some Definitions of Medieval Usage)’ at thevore.com/the-hard-little-words-prepositions-adverbs-conjunctions/. The word-study tools at latinlexicon.org and Logeion often includes post-classical usage. Lynn Nelson’s Latin Word List has many addresses and at least three versions, and since other sites may link to any one of them, it may prove useful to sort them out here. The most recent appears to be the 8,000-entry list at humanum.arts.cuhk.edu.hk/Lexis/Latin. An older, 5,000-entry list seems to underlie the searchable list at archives.nd.edu/latgramm.html, a site still worth knowing about because of its many other features. Unfortunately, the HTML presentation at www.math.ubc.ca/~cass/frivs/frivolities.html seems based on the oldest, 3,469-entry list, formerly at langs.eserver.org. If you develop an interest in medieval Latin beyond what you need for reading Aquinas, see the guides to printed and on-line dictionaries at www.grexlat.com/nexus/cone.html (click on ‘Thesauri’), www.ucc.ie/en/cnls/links/, www.italatin.com/lingualatina.html and bcs.fltr.ucl.ac.be/DicLanALat.html; they will lead you to Latin–Latin dictionaries, dictionaries of Latin place-names, explanations of ecclesiastical abbreviations, and many other remarkable tools. JLearnIt software for studying vocabulary (whether English, French, Spanish, Dutch, German, Italian, Hebrew, Portuguese, Swedish, Danish, Norwegian, Hungarian, Russian, Latin or Czech), runs on many operating systems. For a clear and wonderfully concise grammar of classical Latin, see Charles E. Bennett’s New Latin Grammar (also at www.textkit.com). Winfred Lehmann and Jonathan Slocum maintain Latin Online at the Linguistics Research Center of the University of Texas at Austin. For answers to more grammatical questions than Aquinas’s style could ever occasion, see Allen & Greenough’s Latin Grammar (also at www.textkit.com as a PDF file). When Allen & Greenough’s classic is too much, try Anne Mahoney’s Overview of Latin Syntax. The grammar links at www.aboutlatinlanguage.com reflect the extensive teaching experience of Janet Burns; besides very clear explanations, she offers many on-line quizzes. If you need just a little something to jog your memory, try Lynn Nelson’s reference list of Latin grammar (langs.eserver.org/latin-grammar.txt or, for an HTML version, archives.nd.edu/latgramm.html). Not on-line but still in print and noteworthy for present purposes is John F. Collins’ A Primer of Ecclesiastical Latin (Washington, D.C.: The Catholic University of America Press, 1985), which does not presuppose knowledge of classical Latin. William Harris’s site contains a wealth of essays about how to approach the study of Latin, as well as Latin texts with commentary. Claude Pavur’s collection of ‘Latin Teaching Materials at Saint Louis University,’ goes especially well with Wheelock’s Latin; notice also the ‘Reading Acceleration Machine’ freeware. When learning any language, practice reading with biblical and liturgical texts, because their familiarity allows you to pick up speed. You can find Jerome’s Vulgate at sacredbible.org, unbound.biola.edu and The Bible Gateway. Note also vulsearch.sourceforge.net/gettext.html, where you can download the Vulgate as HTML, PDF or plain text; for users of Windows, the site offers a free program for viewing the text side-by-side with the Douay–Rheims and for searching, bookmarking and annotating it. The Vulgate has been revised in light of advances in biblical scholarship. For the Latin text of the Mass (Novus Ordo), visit www.latinliturgy.com/id18.htm. For a Book of Hours from 1599, see www.medievalist.net/hourstxt/home.htm. Haunting vocal music helps fix the patterns of a language in one’s memory. Try discs of Gregorian chant with both English and Latin in the liner notes. A personal favorite among more recent compositions is Igor Stravinsky’s opera-oratorio, Oedipus Rex; the Philips recording (438 865–2) features singers with especially clear enunciation and a booklet with parallel Latin and English. Anthologies and readers often include valuable introductions and notes. An especially good one for philosophers and theologians is The Confessions of St. Augustine: Books I–IX (Selections), with introduction, notes, and vocabulary by James Marshall Campbell and Martin R.P. McGuire (Englewood Cliffs, N.J.: Prentice–Hall, 1931, but still in print thanks to Bolchazy–Carducci, whose catalog every Latinist will want to peruse). Anyone considering advanced study of medieval Latin should consult Medieval Latin: An Introduction and Bibliographical Guide, ed. F.A.C. Mantello and A.G. Rigg (Washington, D.C.: The Catholic University of America Press, 1996); its essays survey developments in grammar, vocabulary, spelling, pronunciation, style, and literature in areas from philosophy to textiles. The Christian Classics Ethereal Library offers an abundance of patristic and later texts. James J. O’Donnell’s sites on Augustine and Boethius feature Latin and English texts, commentaries, studies, and scholarly tools. St. Augustine’s Latin texts with Italian translations, links to English translations, and an enormous collection of images; selected sermons of St. Augustine. Even Tertullian has a home page. Paul Vincent Spade offers texts in Medieval Logic and Philosophy. By and about Peter Lombard (Magister Sententiarum), in Latin and in English. Bruno Tremblay’s Alberti Magni e-Corpus lets visitors browse, search, and download editions of Albert the Great which have passed into the public domain (Jammy, Borgnet, de Loë, Stadler, Meyer–Jessen). For works of Albert which have received a critical edition, see the Editio Digitalis from the Albertus-Magnus-Institut; access to the trial version is free. The Labyrinth will help you find your way amid things medieval. Paul Halsall’s Internet History Sourcebooks Project includes a rich collection of medieval texts. One can download many primary and secondary sources at Islamic Philosophy Online. The Averroes-database is still under development. Mark Johnson’s site has many unusual offerings, including news of interest to Thomists. A consortium of philosophers, historians, and theologians in the Netherlands has gathered many resources for readers of Thomas. Chesterton’s Saint Thomas Aquinas: The Dumb Ox is available in pdf and several other formats. Walter Farrell’s A Companion to the Summa can be found at opcentral.org/blog/walter-farrell-companion-to-the-summa/ and www.catholicprimer.org/farrell/default.htm.